While RET rearrangements occur in an estimated 1% of patients with non–small cell lung cancer (NSCLC), it is an important biomarker to identify, as there are targeted agents that have shown efficacy in this patient population, according to Christine M. Lovly, MD, PhD. In an open-label, single-center, phase II trial, the multikinase inhibitor cabozantinib (Cabometyx) had an overall response rate of 28% (95% CI, 12%-49%) in patients with RET-positive lung cancer. However, there were notable toxicities observed. 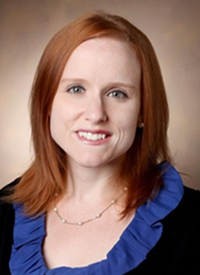 In the interview, Lovly, an assistant professor of medicine (hematology/oncology) and cancer biology, and a medical oncologist, Vanderbilt-Ingram Cancer Center, discussed the importance of identifying and targeting RET in NSCLC. OncLive: Can you provide an overview of your presentation on RET fusions? Lovly: One of my presentations was about RET-rearranged lung cancer. RET is a tyrosine kinase, similar to ALK, EGFR, and ROS1. RET rearrangements occur in about 1% of lung cancer, predominantly in lung adenocarcinoma, and tends to be in patients who are never-smokers. There are retrospective studies, but some data suggest that it is more common in women than in men. The importance of identifying RET rearrangements in lung cancer is because we have multiple agents that can potentially target RET. There are multiple trials that show the efficacy of these agents in patients with RET-positive lung cancer. Can you discuss the current data with cabozantinib? Dr Alex Drilon and his colleagues at Memorial Sloan Kettering Cancer Center did a phase II trial of cabozantinib in patients with RET-rearranged or RET-positive lung cancer. The study, which included about 25 patients, used cabozantinib in patients who had been preselected to have RET rearrangements within their tumors. The response rate was upwards of 20%, but that was not what we would expect for oncogene-driven tumors treated with oncogene-directed tyrosine kinase inhibitors (TKIs). In this case, cabozantinib came at the expense of a lot of toxicity. I should state that cabozantinib is not a RET-specific TKI, it is a multitargeted TKI, meaning it is not specific for RET but instead targets multiple different kinases. In this study with cabozantinib, about 75% of the patients needed a dose reduction because of toxicity. Those toxicities included several things, but, most notably, [was] an increase in liver function tests. What RET-specific inhibitors are being investigated? In addition to cabozantinib, there are several different RET inhibitors that have been studied in RET-positive lung cancer. These agents are not specific for RET; they are multitargeted TKIs. For example, lenvatinib and vandetinib have also been studied in RET-positive lung cancer. These are all predominantly phase II trials across the board with small cohorts of patients. Response rates were what we expect for TKIs in oncogene-directed lung cancers for these agents. The RET inhibitors cabozantinib, levantinib, and vandetinib experience response rates of about 25% to 40%, but that is not the upward of 70% that we have seen in some of the ALK-positive or EGFR-mutant lung cancer trials. One possibility is that the inhibitors are not specific against RET. We will need additional studies to look at this cohort. It’s a small cohort of 1% but so is ROS1, and yet, we have an FDA-approved drug for this space as well as some clinical studies showing the benefit of ROS1 inhibitors in patients with ROS1-positive lung cancer. I feel confident that, with the right drug, we can translate similar findings to other molecular cohorts, such as RET-positive lung cancer and target those patients effectively with specific targeted therapies that inhibit RET. There has also been a very interesting study recently published in the Journal of Clinical Oncology at the end of 2016. It was with the global registry of patients with RET-positive lung cancer, and this study is a very exciting and important one. Though it was not a therapeutic trial, the study’s aim was to say that RET is the low-prevalence mutation across all cancers. Yet, it is important for us to identify and study because we know that we can target RET.